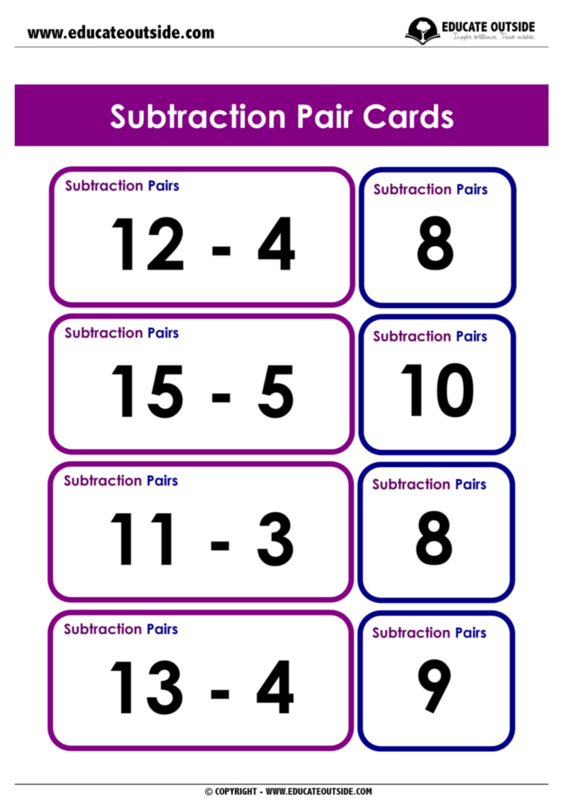 These pair cards are a great way for your class to be active while practicing their mental subtraction. 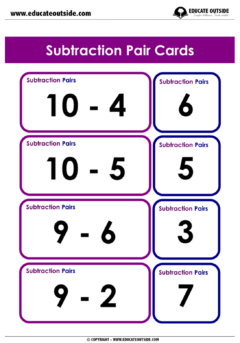 This activity can be used effectively in a number of ways. 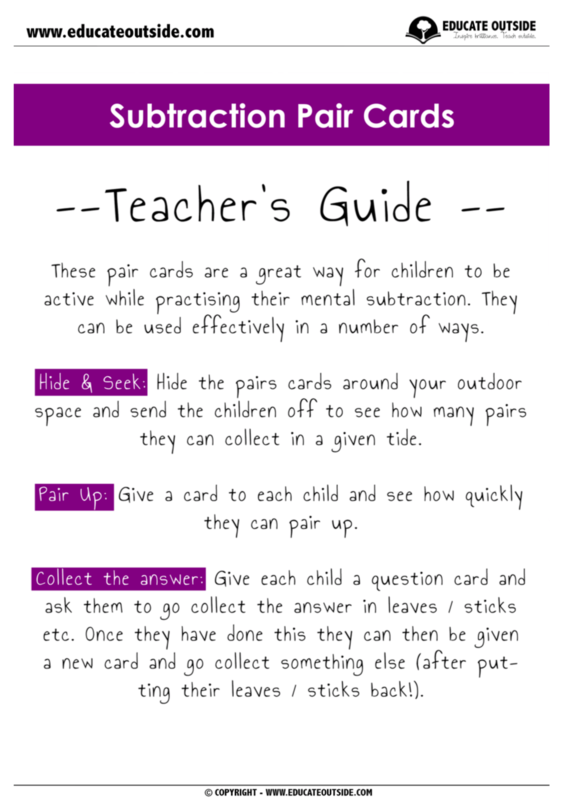 Hide & Seek: Hide the pairs cards around your outdoor space and send the class off to see how many pairs they can collect in a given time. Collect the Answer: Give each child a question card and ask them to collect the answer value in leaves / sticks etc. Once they have completed this they can be given a new card and collect something else (after putting their leaves / sticks back!). 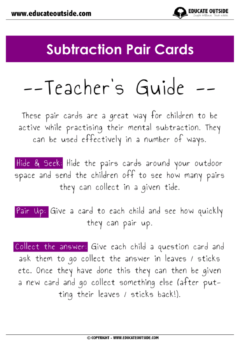 Pair Up: Give a card to each child in the class and see how quickly they can pair up with their corresponding partner. 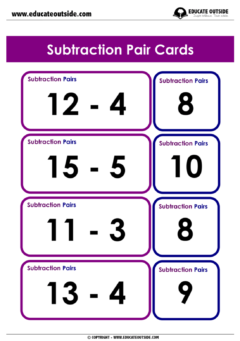 16x pairs of subtraction cards.